Museums can be a calming and relaxing experience for a lot of people. Taking in the interpretative art, historical artifacts, or other exhibits at an interesting museum is a great way to spend a day. Placing guests in overcrowded or confusing settings can eliminate the “calming and relaxing” aspect quickly though. That’s why museums need effective crowd control solutions, especially during peak seasons or events. The sheer number of attendees at temporary events and busy seasons can lead to chaos and disorder. Long waiting lines, having to push through crowds and a mosh-pit like environment can make museum-goers avoid it like they would a club. This is why crowd control is an important aspect of ensuring customer satisfaction. Giving customers a great museum experience during peak times is great business. 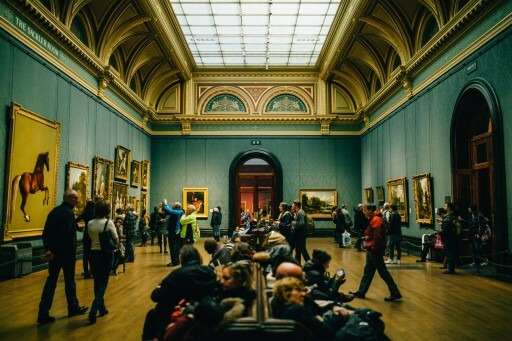 There are quite a few things museum managers can do for effective crowd management and allowing museums to retain their quiet, magnificent and elegant ambience even at the peak of its popularity. This will reduce the amount of crowd at the museum at any given time. Even if the hours are just extended a few hours until 9 pm, costs can up during peak season. This increases revenue, as a higher number of people will be likely to visit later to avoid the peak rush hours. The added flexibility in hours steadies the crowd flow, which improves the customer experience. Many restaurants use this technique to drive up sales during off-hours. In similar fashion to the approach of extended hours, this can reduce the number of customers attending during peak times. If assured reduced waiting times and ticket discounts, the off-days and hours suddenly become a more attractive option to the customer. This is a great form of hands-off crowd control. Some museums have designated entrances and exits for employees only. Opening these doors on certain days can assist with effective crowd control. This will lead to less of a chaotic entrance and exit situation for attendees. It will lead to less crowding when they are entering and less difficulty finding an exit. This effective idea that was used by the Louvre. Instead of providing tickets for people to visit all day long, tickets with designated entry times help space out the crowd flow. This is an effective crowd control method to manage the number of customers during popular events. Take advantage of the fact that many customers will have their phones with them as they wait in line. Utilizing technology can be a simple way to help people avoid these lines altogether. Place helpful signs along the line as to where a ticket can be purchased online, and then have designated entry for those who have tickets. Those who purchase them on their phone can skip right to that area, thus helping to limit the wait for all. 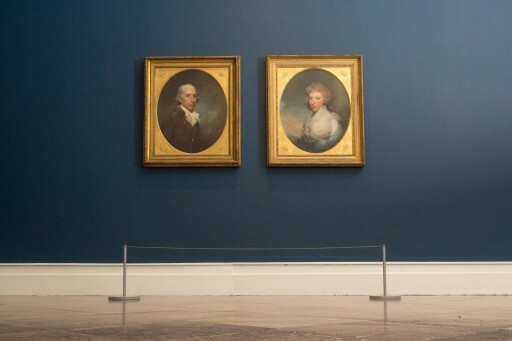 Adding supporting crowd control barriers such as museum stanchions, rope barriers, and post or wall-mount retractable ropes are necessary as room dividers and line barriers. These line stanchions create the look and function of an organized museum. By using some or all of these techniques, a museum can effectively manage the busy times that are brought on by new exhibits or events. These events are the first interaction with a museum for many customers, so having a well-organized plan is imperative to a business.